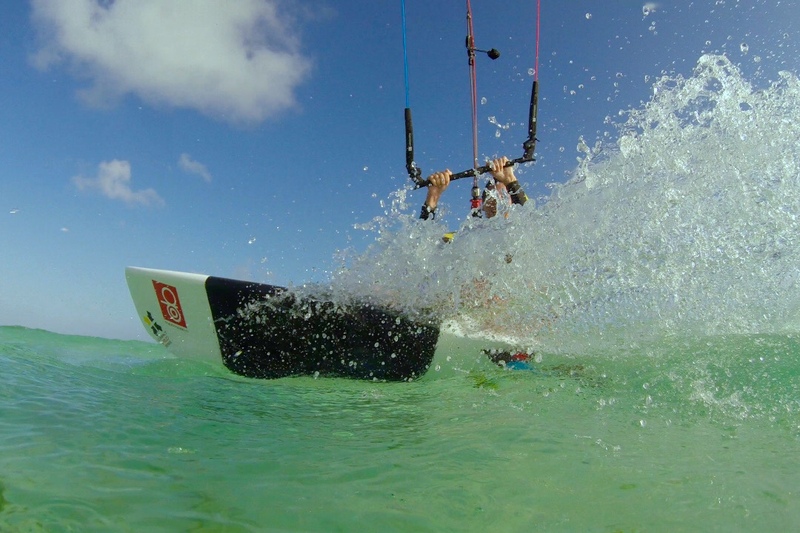 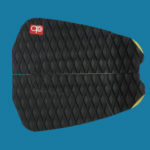 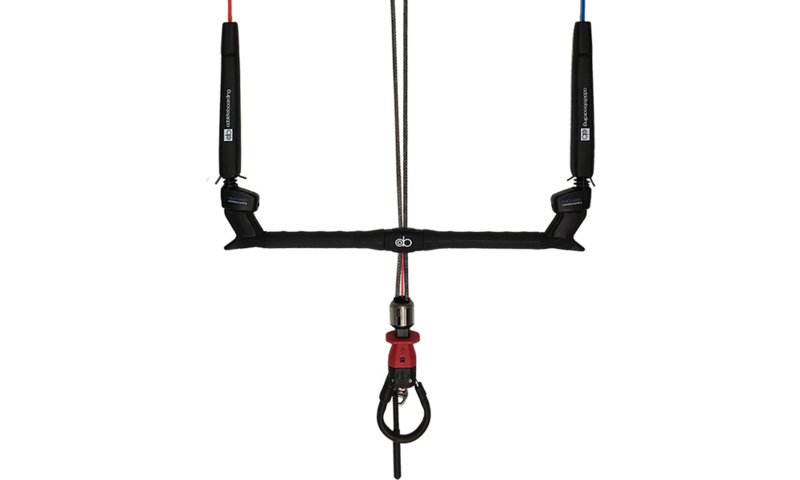 Odo Kiteboarding Compact Pro Series Surfboard, with its unique and innovative compact shape and volume distribution, is extremely versatile in choppy and small to medium wave conditions. 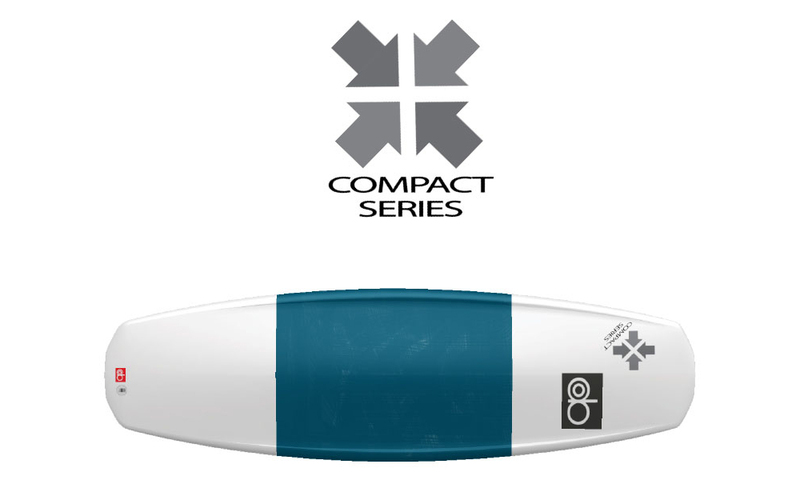 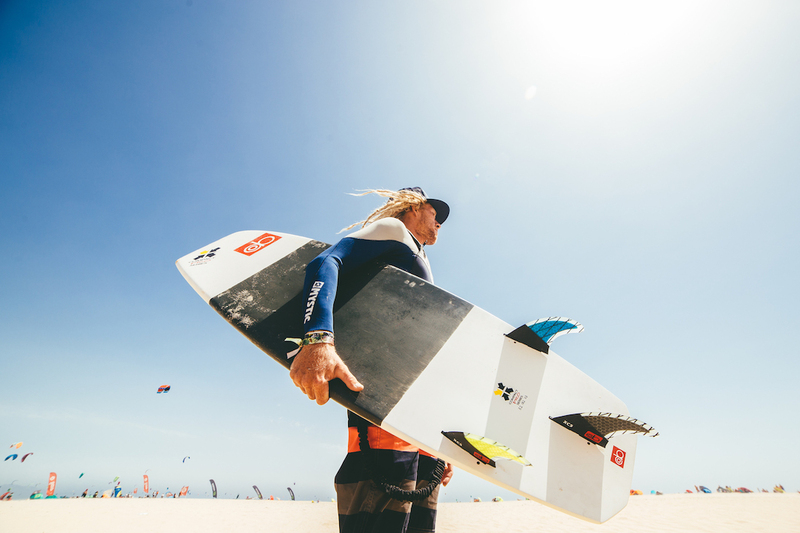 Compact Pro Series Surfboard has a slightly reduced volume if compared to the Compact Series Surfboard and therefore is more suitable for advanced or lighter kiters who want to improve their strapless freestyle skills. 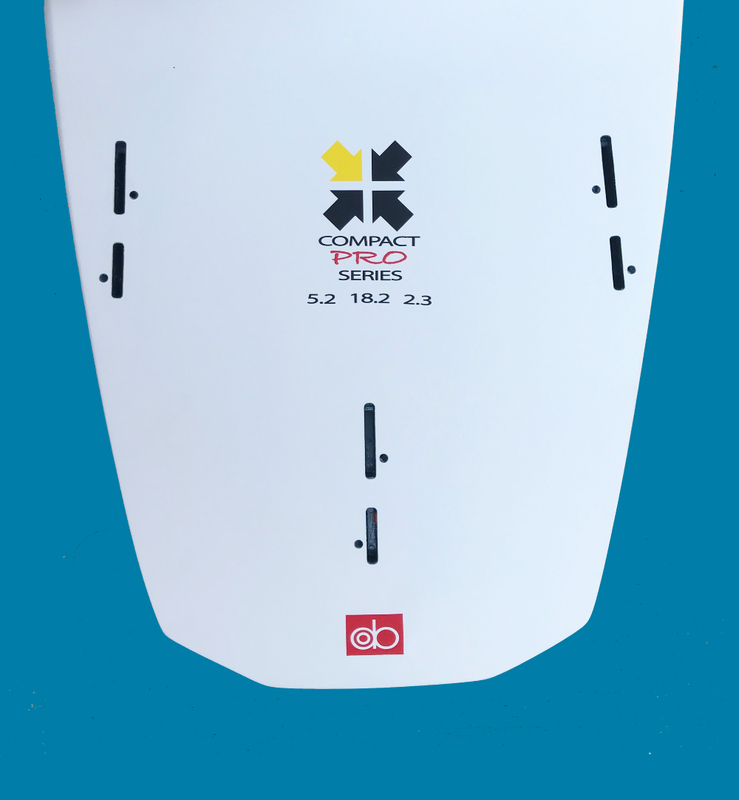 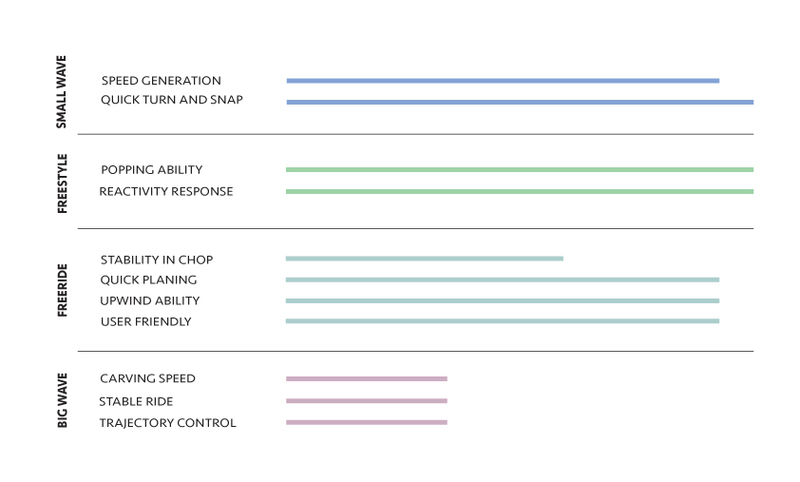 Thanks to the high speed generation due to the bottom concavity and its quick turn and snaps capabilities your sessions will be really unforgettable. 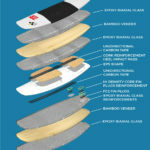 Furthermore to decrease the total weight while maintaining the proper stiffness of the board one UD longitudinal carbon tape is placed on the top of the board and another one on the bottom. 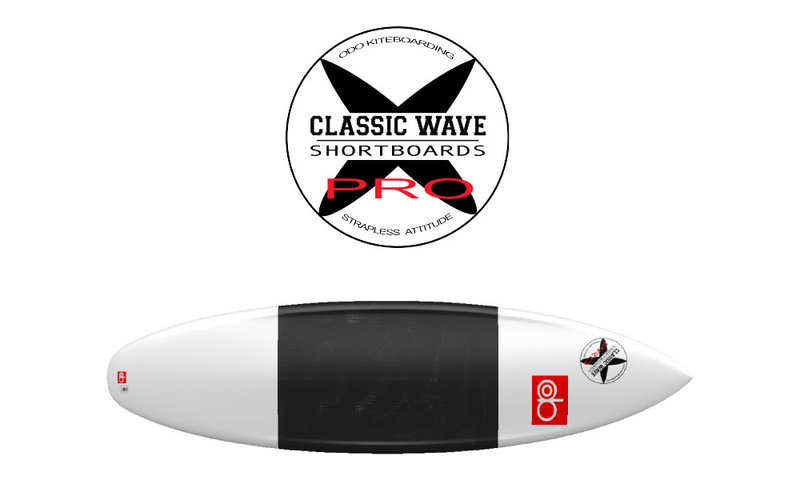 Compact Pro Series Surfboard small size and light weight, in conjunction with a strong popping and very reactive response will help you to improve your freestyle tricks and to enjoy in every moment of your session. 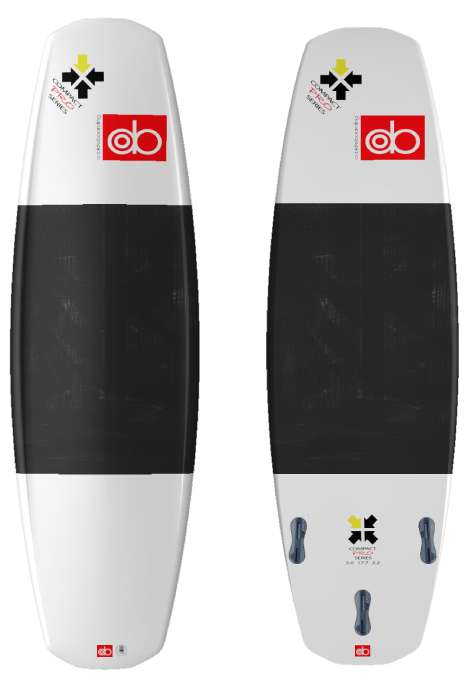 Odo Kiteboarding Surfboard Series is built using both the precise industrial CNC board shape process and the vacuum lamination process realized by skilled hands. 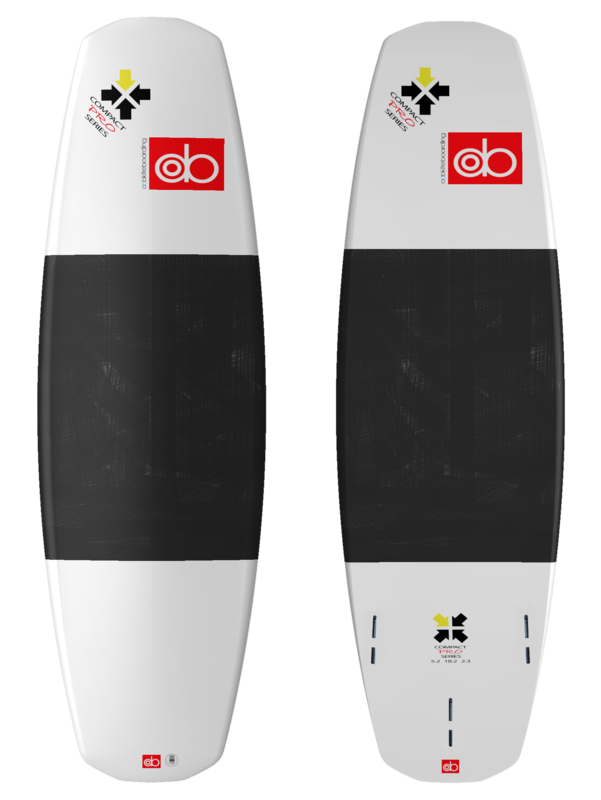 All the surfboards are made of high quality EPS core coated with cloths and top quality epoxy resin to have it lasting for a long time. 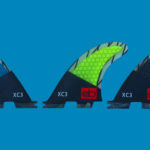 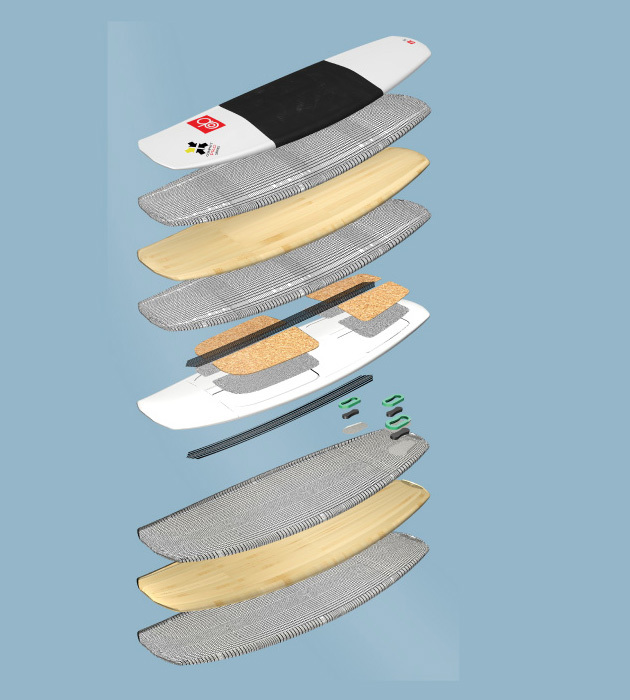 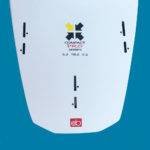 In order to increase the robustness and to reduce the risk of damaging, the top and bottom surfboard surfaces have been reinforced with bamboo layers. 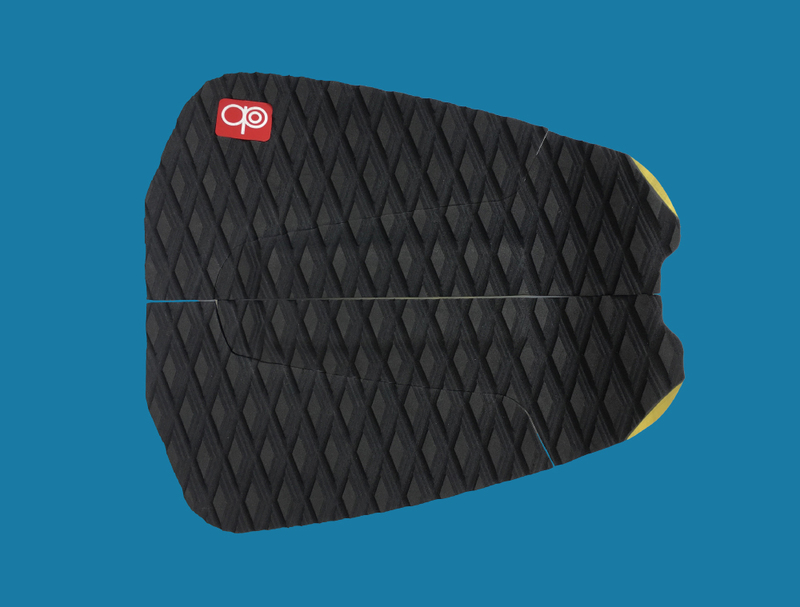 The frontal and back heel impact areas have cork reinforcements laminated into the EPS core to reduce the shocks caused by landings. 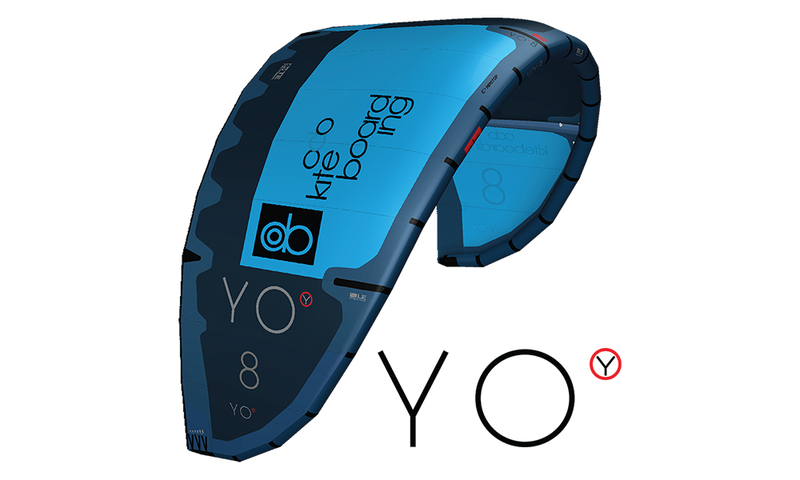 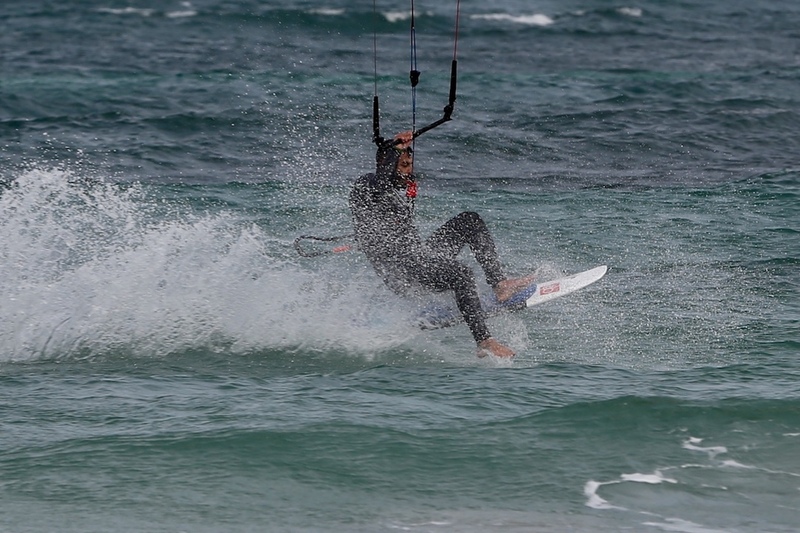 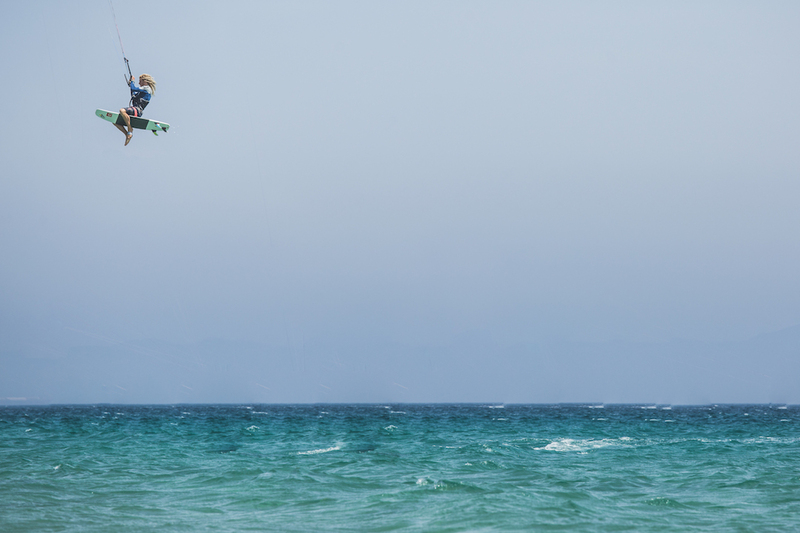 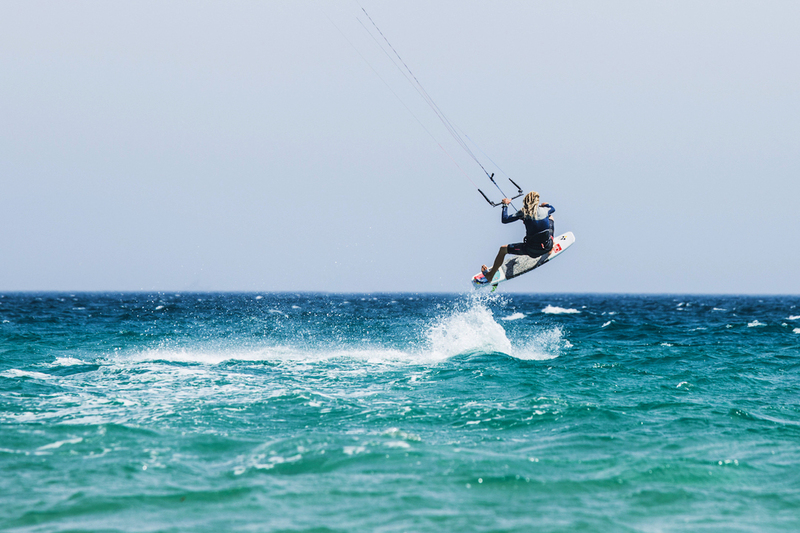 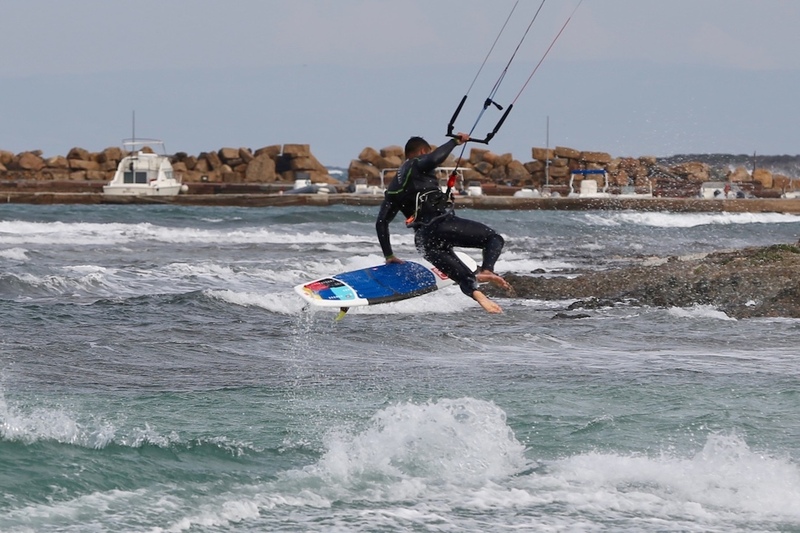 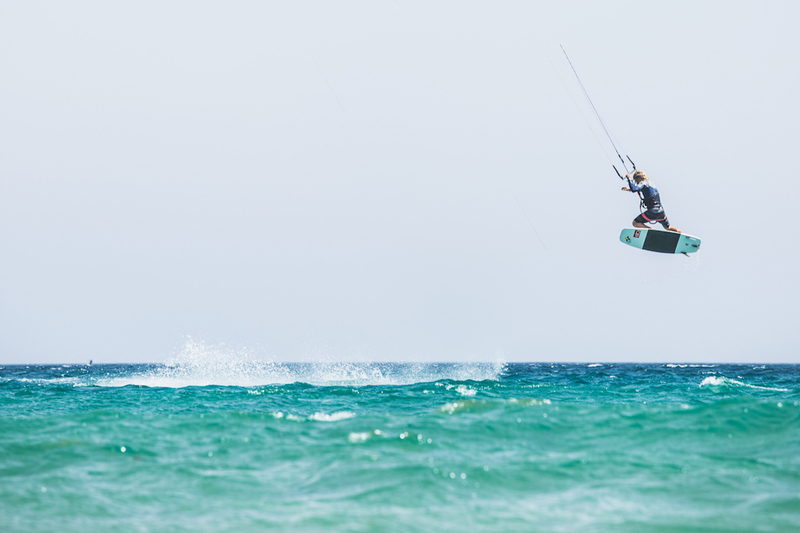 As a final result Odo Kiteboarding Surfboards have an optimal balance between robustness and weight that will help you to enjoy the strapless kitesurfing at the maximum level. 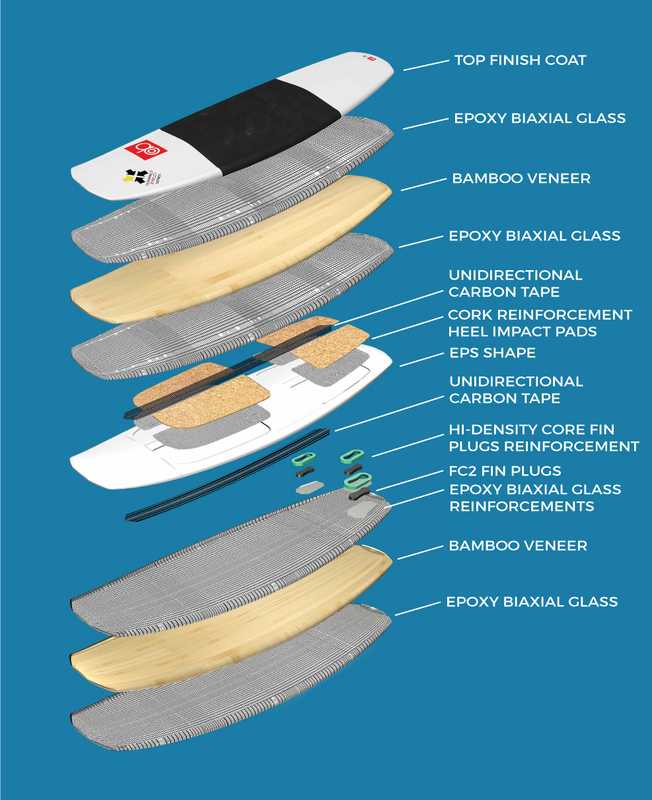 The special deck design features a structural beam and lower lateral deck areas that have been engineered to increase the resistance to longitunal forces and at the same time to increase the foot contact with the board. 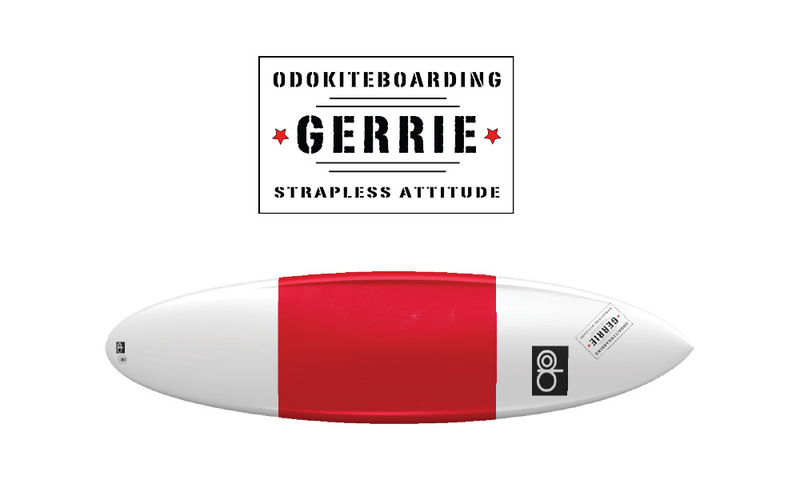 Thanks to this design you will benefit a superior board robustness paired with unmatch riding comfort and board control also when making freestyle tricks. 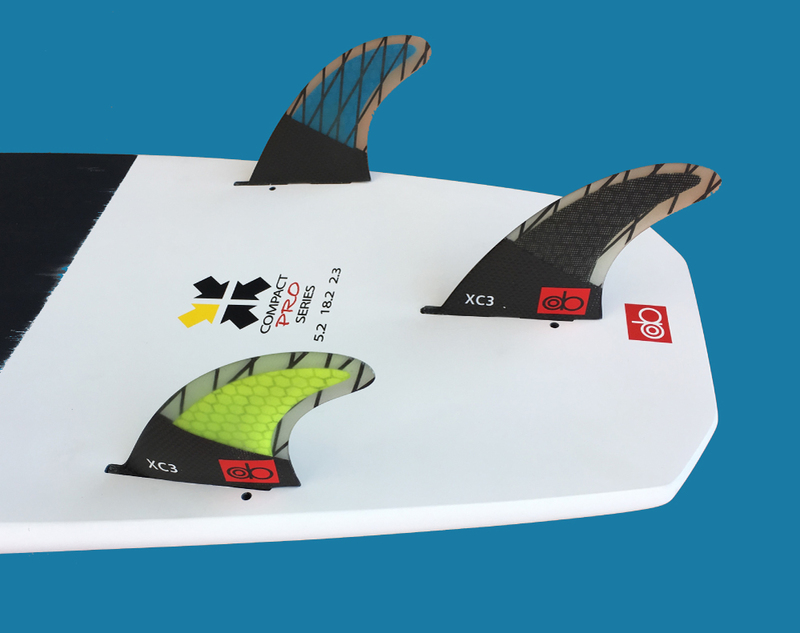 Thanks to its special ergonomic design you can easily grab your board by the rail to push your freestyle skills at a higher level.